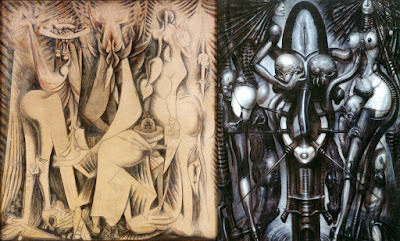 A bride in a mantle and her assistant in ways echoing the deities of the Santerian religion beneath palm fronds that transform into their masks, showing off the forms of their shapely buttocks dancing in an eternal present, around a structure that was once the crossed arms of a deity that has transformed into a urinal fountain that was once the embracing arms of a deity in a place that absorbs the indefinite forms of card playing war invalids. 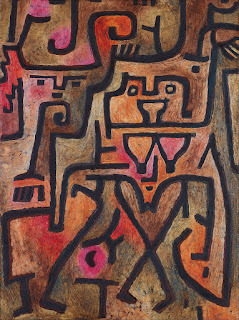 Swiss artist Paul Klee painted Forest Witches in 1938 in his characteristic abstract style. 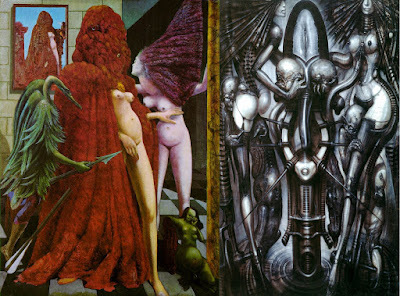 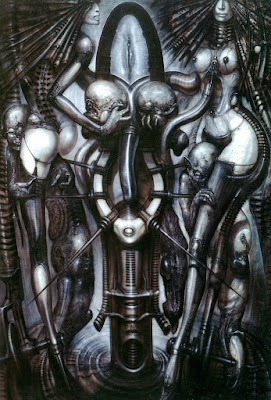 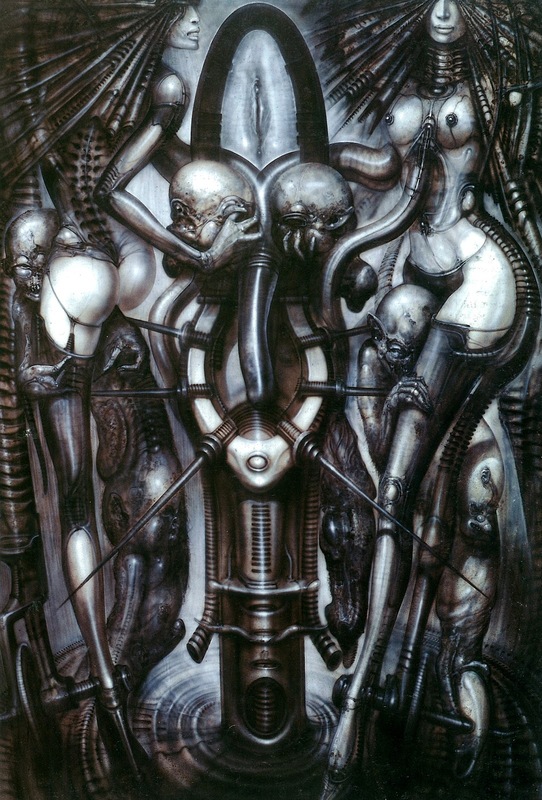 The idea comes along to me that this painting gave Giger a thought about something he could paint, transforming the most obvious female figure dominating the painting into something that could be comprehended abstractly. 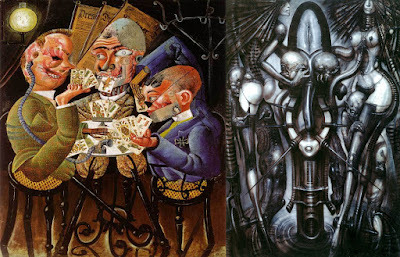 Thinking about what he could do, ideas from other compositions would begin to come to the surface. A possible next point of call would have been Wifredo's Lam's Eternal Present because it presents the almost symmetrical presentation of female forms in a way that interested him.